Virtual Kidnapping: Beware and don’t fall prey to incidents. What Is Virtual Kidnapping All About? One of the most common threats online in the twenty first century is that of virtual kidnapping. Many online users are unaware about this concept. It is because virtual kidnapping is still on the rise. And not many virtual kidnapping cases have come up. Now, most of us are pretty familiar with the kidnapping and all that it entails. Basically, kidnappers keep someone in their captivity. And threaten the near and dear ones of the victim for ransom. The person or the victim can get away only when the kidnappers get the ransom amount. However, kidnappings tend to be messy. Since the transactions rarely happen as shown in the movies. In most cases, the police come into a picture. This leads to the arrest of the kidnappers. Hence, cyber criminals have come up with a way which bypasses the mess created by a physical kidnapping, but has the same effect. This is virtual kidnapping. In this case, the kidnapper will threaten the family or friends of the victim indicating that he or she is in grave danger. Only when the kidnappers receive ransom money, they release the victim. Virtual kidnapping is one of the most extensive forms of extortion. It involves the usage of some of the most advanced technologies today. The question arises, how do one comes across virtual kidnappers? If you are using public Wi-Fi or even unprotected VPN servers, you are putting yourself in danger. Not just virtual kidnappers, there are hackers and other cyber criminals just waiting for you to make a wrong move. In some cases, virtual kidnapping also involves withholding data or information. This is again till you pay a certain sum of money to get it back. With modernized technology, the kidnappers no longer target specific people. Such online criminals are at prey for innocent people. In 2015, the rate of virtual kidnapping saw a massive surge. This increase even alarmed the Federal Bureau of Investigation (FBI). According to the FBI, this scam was largely spread to the southern states and Mexico in the past. October is the cyber security awareness month. Basically, knowledge about the cyber security is spread through several programs and initiatives. This is to spread awareness about the various threats lurking online, online security and how to stay safe online. In order to support the National Security Awareness month, Le VPN has a special promotional offer. The users can subscribe Le VPN’s two-year VPN service for 69 USD or 2.87 $/month. 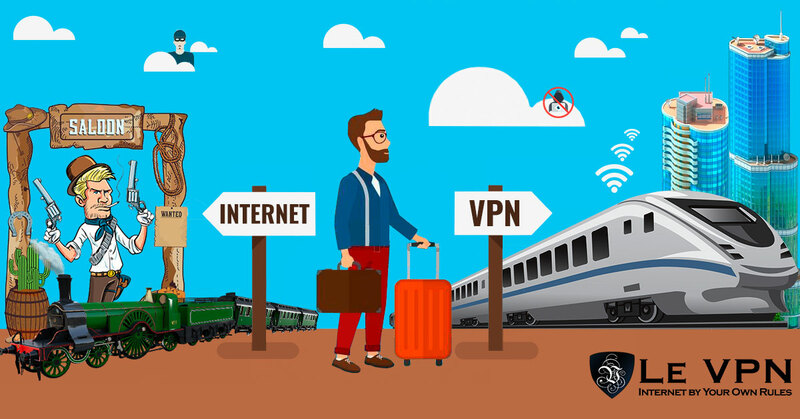 Apart from ensuring your privacy and online security, Le VPN allows you to unblock websites. E.g. you can unblock content from any blocked location by using free VPN Australia. That means if you want to access any content which is accessible in Australia, you can use Australia VPN to unblock the same.